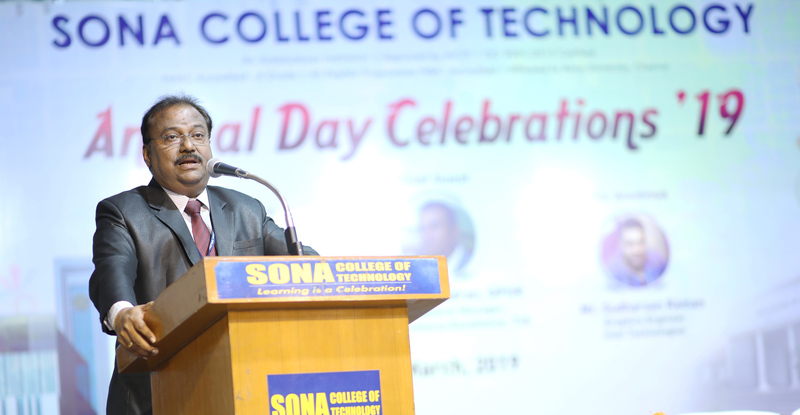 The Annual Day Celebrations of Sona College of Technology, Salem, was held on 22.3.2019. The celebrations began with Welcome Address and Annual Report of Sona’s achievements by Principal, Dr.S.R.R.Senthil Kumar. The Extensive Service Report was presented by Dr.S.Chandrasekar and the technical association and club reports by the student representatives. The Annual day address was delivered by the chief guest Dr KM Suceendran, GPHR, Senior General Manager, Head-Workforce Excellence, TCS, Pvt Ltd, Bengaluru. 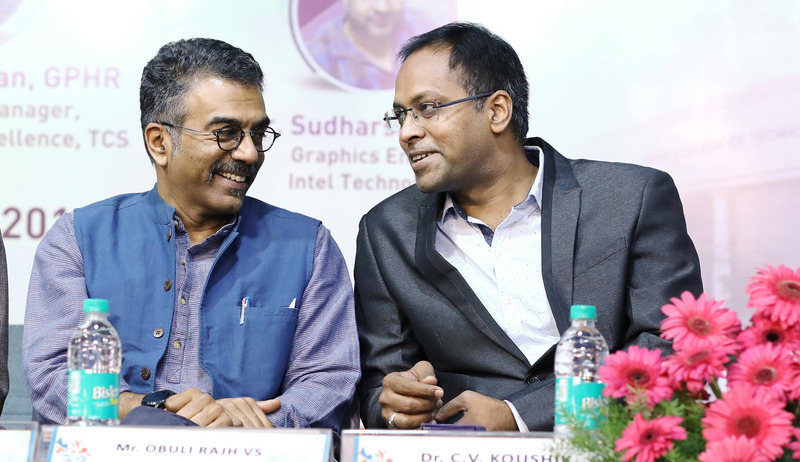 Sona’s Elite Alumnus, Mr. Obuli Rajh (Mech department 2006), and Mr.Sudharshan Raman (ECE Department 2006) motivated the students on how to be industry ready by establishing connections with the industry of their interest. Our Vice Chairmen Mr. Chocko Valliappa and Mr. Thyagu Valliappa emphasised on what students should focus on and how they can be connected and deliver enormous value to the industry and the world. 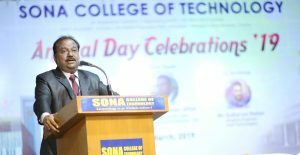 Honourable Chairman of Sona Group of Institutions, Mr. C. Valliappa, enthused the students to be associated with the industry professionals, and practice the skills which they have equipped in class. 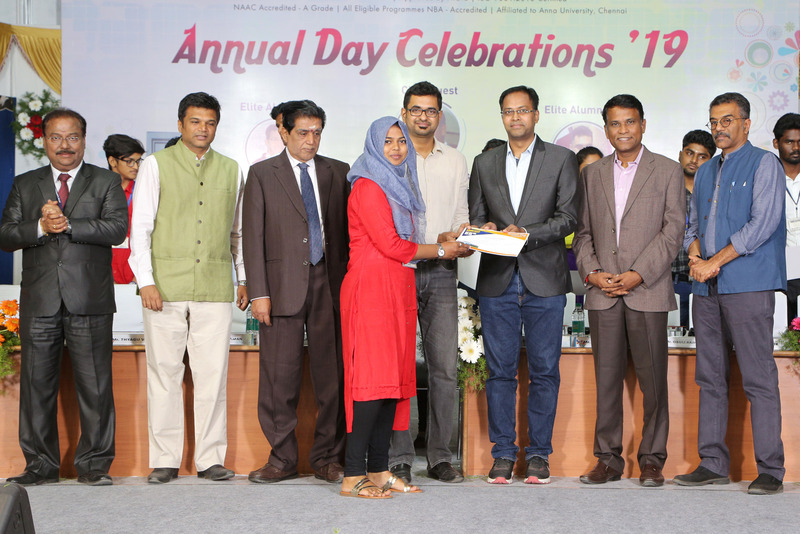 Dr. C.V. Koushik announced the Best Outgoing Students from various departments. Students were given appreciation awards. Nearly 1100 students received certificates and awards under different categories. The vote of thanks was rendered by Dr.B.Sathiyabhama. This entry was posted in Annual Day on March 22, 2019 by admin.